Some of the DT staffers are absolutely nuts about Corvairs because they provide a great platform for modification. You know that old adage, "give an engineer a beer and a pencil and you can pretty much get whatever you want!" 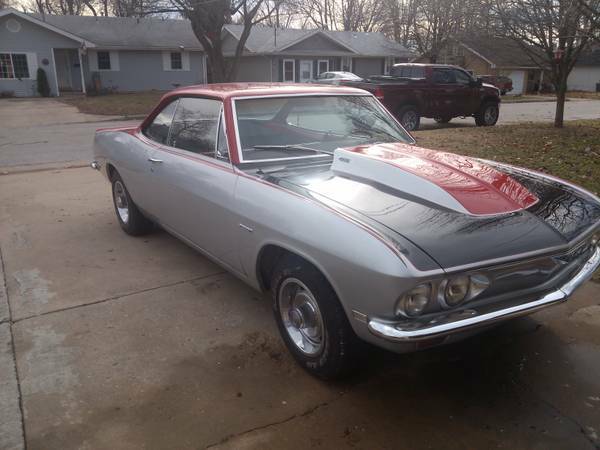 Thus there are Corvair V8 Swaps which vary from mid-engined Crown conversions running high revving Chevy small blocks, yielding great balance but rendering a fairly tortured driving position for anyone taller than about 5' 3". 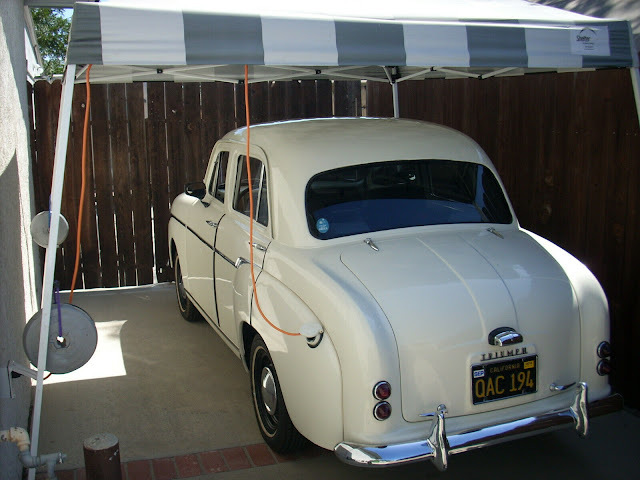 Another common solution is to run a Buick/Pontiac/Rover 215/3.5 V8 in reverse rotation allowing it to be mounted as a direct replacement for the original Corvair flat 6. Others look to GM's front drivers. One very well done conversion uses a Cadillac Northstar V8 driving a Porsche 930 transaxle for incredible results, then there are those for whom there is just no replacement for displacement... yielding this Olds Toronado 455 V8, with its original chain driven front wheel drive transaxle mounted far forward of the Corvair's original engine's location. Net result, mass is moved towards the front, not a huge weight gain on the tail and GOBS of 'Merican Torque through a transmission that isn't strained to handle it. 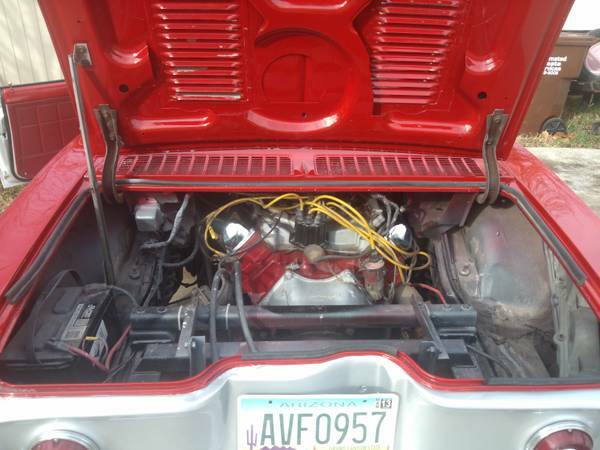 Find this 1966 Chevrolet Corvair 455ci V8 powered beast for $14,500 located in Springfield, MO via craigslist. Another great tip from Andy L.
The cowl induction hood removes any chance of this being a sleeper and makes passersby wonder what is under the hood...but it is probably just an air outlet vent for the radiator as all the spinning metal bits are contained in a carpet covered box where the back seat used to be. If you want to see another ToroVair from AZ at full roar, here you go!